Ard-Na-Said, a bed and breakfast with free parking, is located in the peaceful Newington area. It is near to Holyrood Park, and within walking distance of the city’s attractions and restaurants. Ard-Na-Said Guest house is certainly the ideal location to enjoy all that Edinburgh has to offer and still be able to retreat from the hustle and bustle. 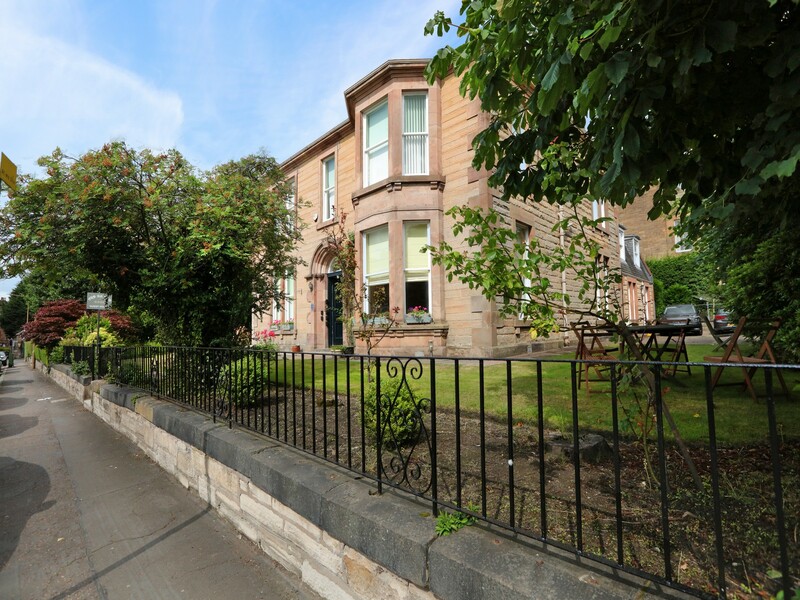 Built on the Prestonfield estate in 1876, our detached Victorian villa has many original features such as high ceilings, ornate cornicing, stained glass windows and original Victorian geometric floor tiles. Our elegant breakfast room has recently been refurbished to create a communal, comfortable space which can also be enjoyed throughout the day and evening. Therefore, whether you want to meet and chat, read a book, play our board games or browse the internet, we’re sure you’ll enjoy this relaxing area. Using locally sourced products where possible, we aim to provide the best in Scottish hospitality so that, this family run guest house is the perfect place to stay and experience our fascinating, historic capital city. Above all, in this 21st Century we appreciate how important it is for our guests to connect easily to the internet, so we recently installed WIFI access points on each floor. Consequently all our guests have simultaneous access to our fast internet. Also, due to these access points, normally used in businesses to serve up to 50 users, some guests can browse websites in HD Video, catch up on Netflix while others make video calls back home and of course it’s included in the room rate. Finally, if you just want to unwind in your room at the end of a busy day, sit back and enjoy our newly installed Freeview TV offering 60 different channels. Furthermore, most of our rooms now have Smart TVs. Our Guest house in Edinburgh has a free car park as well as free on street parking spaces. Rick Steves recommended. Once again we have been recommended in the Rick Steves travel guide. 7 individually decorated guest bedrooms with private shower rooms. Free car park and some free on street parking spaces. Near to bus stop with excellent bus connections to city centre. 1.3 miles to the Royal Mile. Perfectly located for Edinburgh University, Pollock Halls, Prestonfield House, “Taste of Scotand”, Royal Commonwealth Pool, Holyrood Park, Arthur’s Seat.